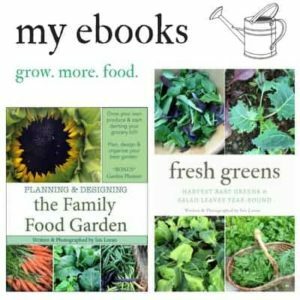 Growing your own greens is an excellent way to gain great dollar value from your garden. 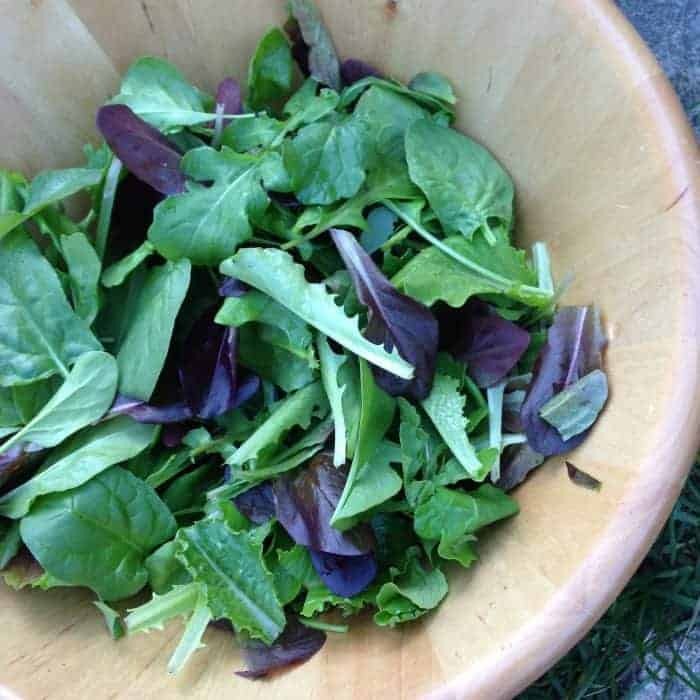 Expensive produce items like baby greens are a great way to start denting your grocery bill, in fact it’s the #1 crop I recommend to anyone if produce savings is your main motive for gardening! 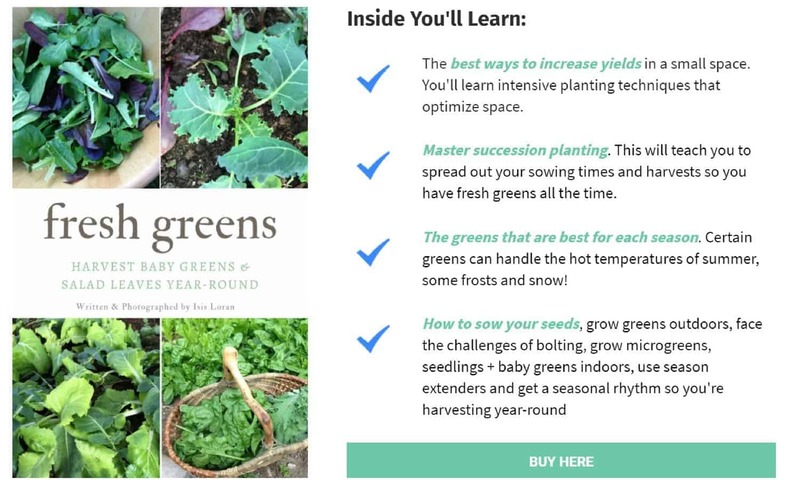 *Edited* Since writing this post I’ve written a whole book on growing and eating fresh greens year-round! To gain even further dollar value, you can grow them differently and harvest at multiple stages to increase your harvests. First of all what are the fresh ‘greens’ that you grow in your garden? Full sized/heads (Lettuce heads for example). It’s better to grow the fast growing sprouts & microgreens indoors as it’s easier to harvest from trays. You could transplant some of these micro greens into larger pots to grow into seedling then move them outside. You can harvest lots of baby greens before making space for medium or full-sized leaves. Eventually you need to allow space for the full-sized plants (unless you’re happy with baby greens). Make sure your soil has good nitrogen levels as it’s important for lots of leafy growth. You can grow lots of baby greens in the same beds that you’ll be transplanting larger summer crops into (like tomatoes, peppers). 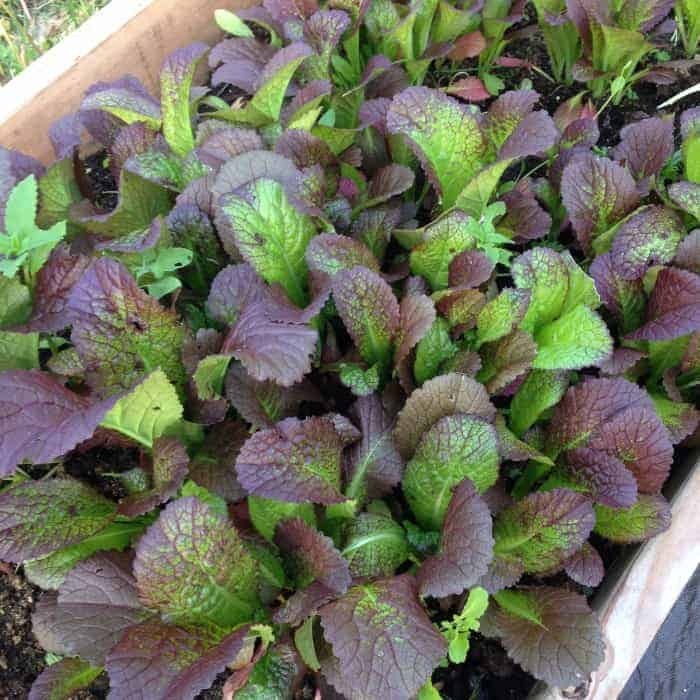 Leave the baby greens growing around the transplants for a month or so to get lots of baby greens before your summer crops need the space (learn more about bumper crops). 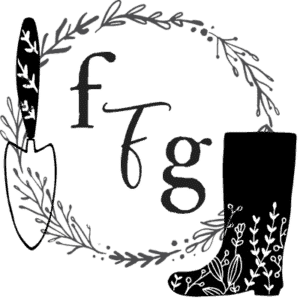 Sow your greens in the spring and again late summer for a fall/winter harvest. 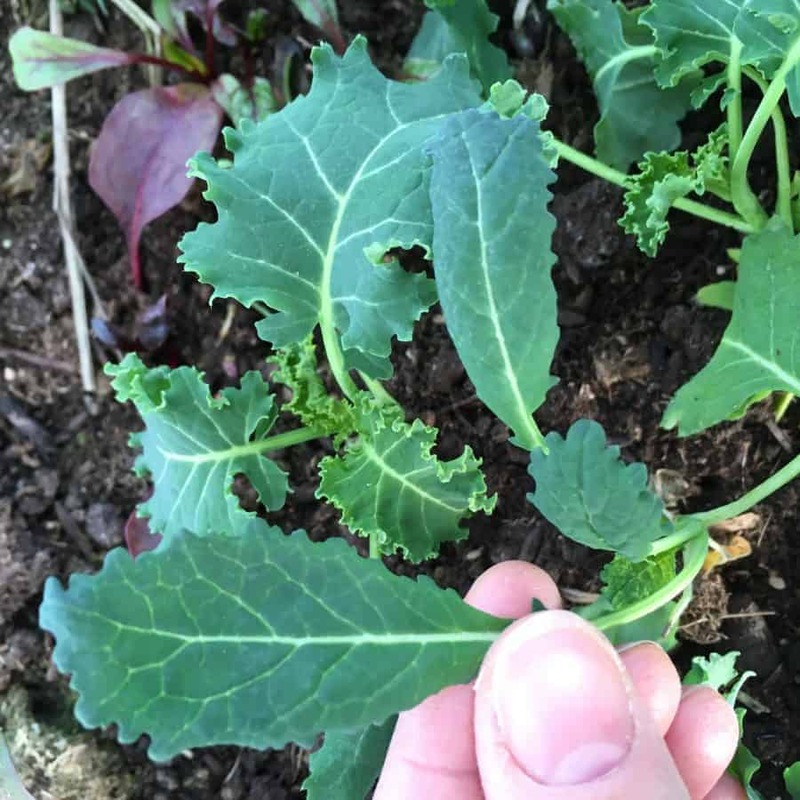 Many greens like swiss chard, spinach, arugula and kale handle frosts and can be eaten until the snow comes. BONUS use season extenders to add even more weeks to your green harvest window! What variety of spinach is that? I overwintered Winter Giant and the leaves are huge! So much food in one leaf. I’m very happy with it. I also did mache for the first time and I’m in love with the flavor! I can’t imagine not having a variety of greens. They make me feel rich! This one is ‘Bloomsday Savoy’ which I’ve tried growing 2 seasons in a row with failures due to bolting. Last year however I grew in low tunnel earlier in the spring and they turned out gorgeous! I haven’t heard of winter giant, I’ll look it up. 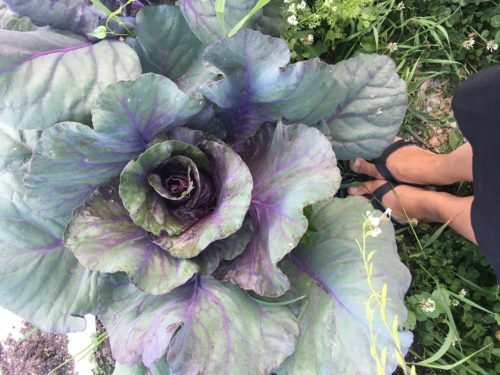 I grew ‘Monstrueux de Viroflay’ and what huge pretty leaves! I love mache, apparently it self sows too so I might devote a corner to our garden to let it do it’s thing. 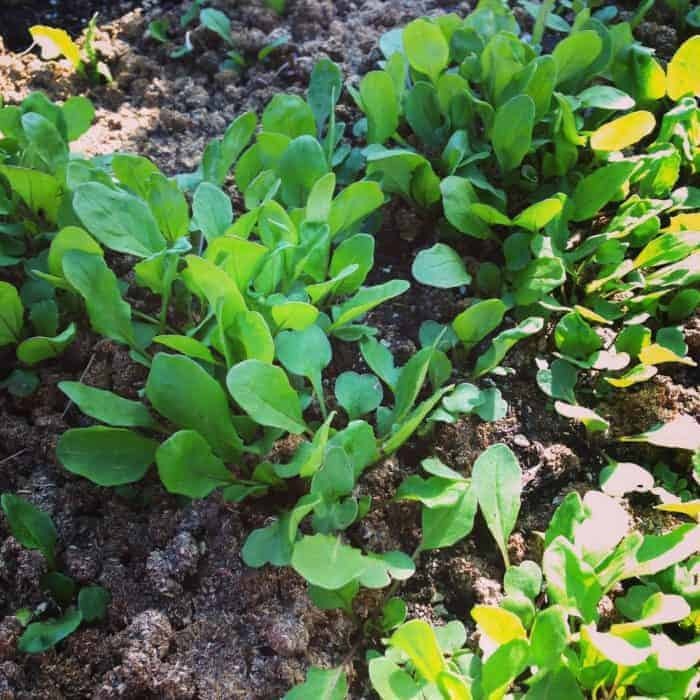 Our arugula self-sowed and sprouted all over the greenhouse, I was able to nibble on the first leaves this week! I’m doing ‘Monstrueux de Viroflay’ too but it’s still in baby stages! I’m excited to see how the size of the leaves compare. My mache is bolting and I’m going to let it go to seed and try to collect some for this fall. It’s not planted where I can just let it take over otherwise I’d be very tempted to do so. 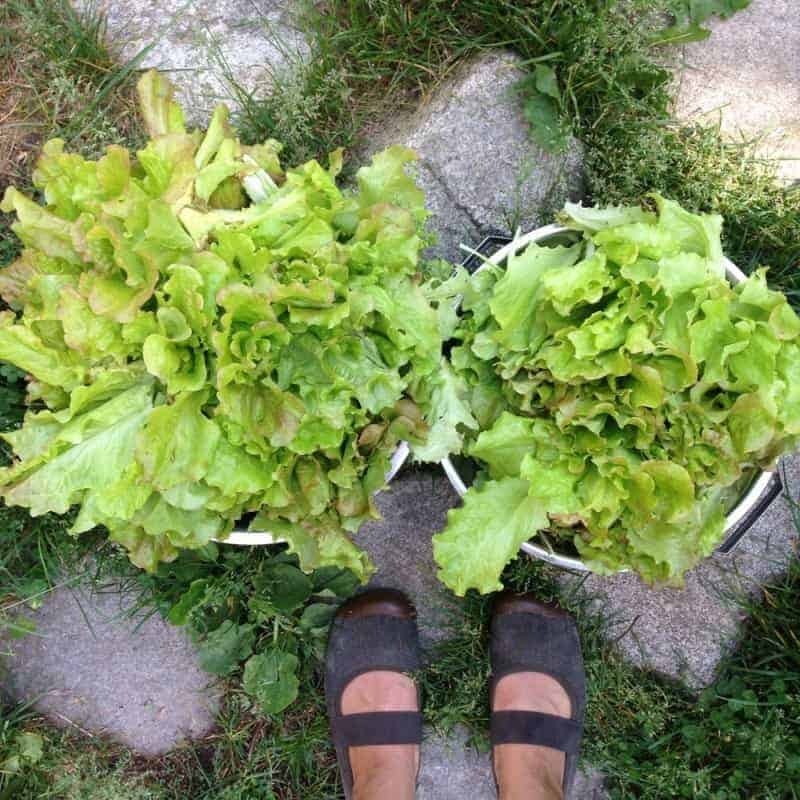 When organic boxes of greens are $3.50 and up at the store, it doesn’t take hauling in a few bags of your own greens to make you realize how much money you save by growing your own. Plus, it wasn’t hauled halfway across the country from being grown in a land with drought!